Fintech has become a hot topic in Malaysia, especially as the sector paves the way forward for innovations in financial services. The government has committed to provide clear guidance and regulation to new, innovative products and business models entering the financial industry. Last year, the central bank issued the Financial Technology Sandbox Framework and in April 2016 the Security Commission Malaysia introduced a regulatory framework to facilitate peer-to-peer financing. 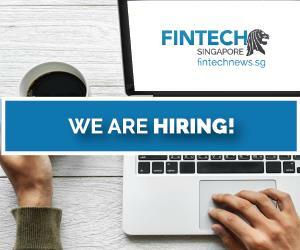 Fintech in Malaysia is growing rapidly and some events are taking place this year to educate the public and the financial industry on the potential and opportunities that fintech brings. Today, we look at some of this upcoming fintech events in Malaysia. However, we could not find many high quality events. Let us please know which event is missing ! 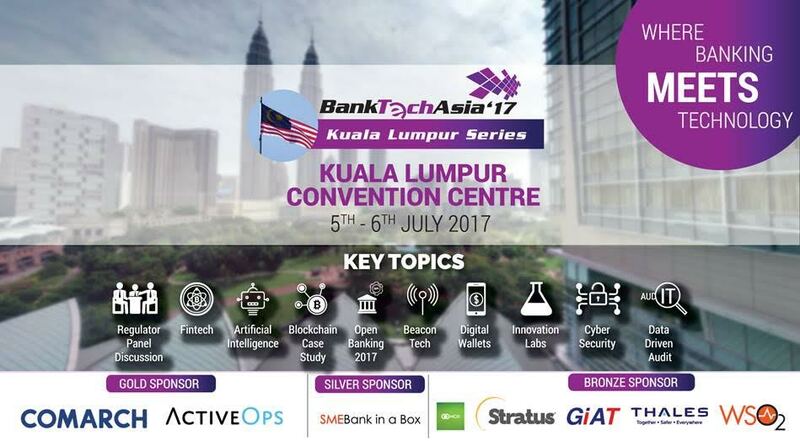 Fintechnews will be in KL for BankTech in Asia in July. 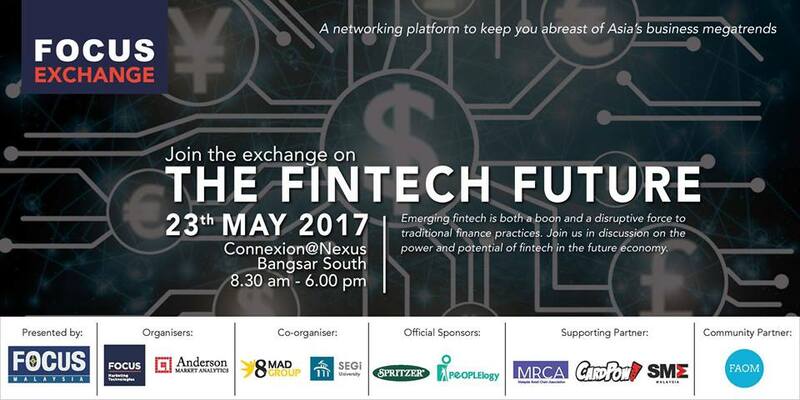 Focus Exchange’s the Fintech Future is one-day seminar focusing on the power and potential of fintech. The event aims to help businesses understand how they can use technology to increase their competitive advantage. It will bring business leaders together to share news, tips and leads on how to take advantage of Asia’s new megatrends. 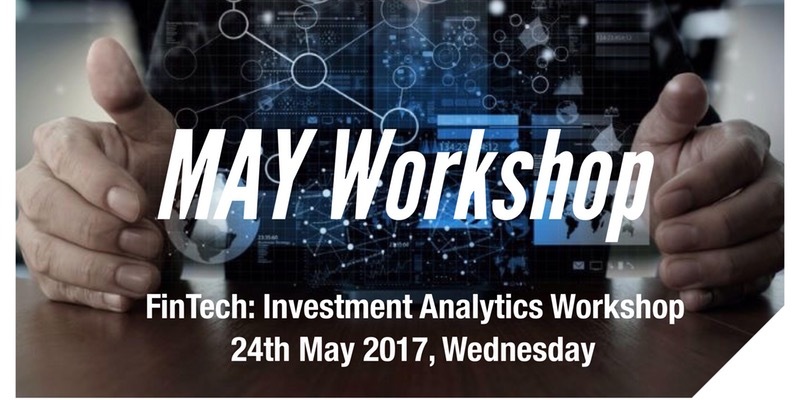 The Fintech: Investment Analytics Workshop is specifically designed for decision markers in the buy side and aims mainly at wealth managers and asset managers who are looking to understand fintech, relationship managers, market strategists, investment advisors and asset allocators. 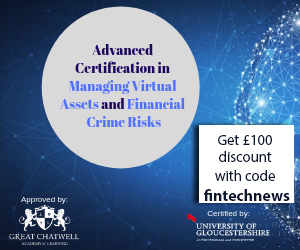 In this workshop, participants will learn to plan and place trades across multi-asset assets in a timely and defensible manner, report audit-quality records to monirto investor portfolio activities, and prepare marketing materials, among many other things. BankTech Asia, one of the longest running banking technology and fintech conference in the region, returns to Kuala Lumpur for the ninth year. 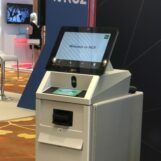 The flagship Kuala Lumpur event consists of a 2-days conference featuring more than 35 experts, and 3 concurrent streams that will look at various key developments in payments and transaction, retail banking technology, and technology risk management and fintech disruption as its key theme. As part of the BankTech Asia Kuala Lumpur event, the Fin5ive competition will present the top five fintech solutions in the market curated from around the world. Winners will each be given 10 minutes lightning demo in the conference to and a booth in the exhibition showcase their innovation to an audience of over 500 senior level bankers. On July 06, the FinMatch session will be an intimate closed-door panel where leading banks and VCs will share what they’re looking for and regulators will share their views followed by a business matching session. The FinMatch session is designed to connect fintech startups with banks, VCs and regulators. BankTech Asia is planning two Jakarta and Manila series as well. Their agendas have not been released yet. 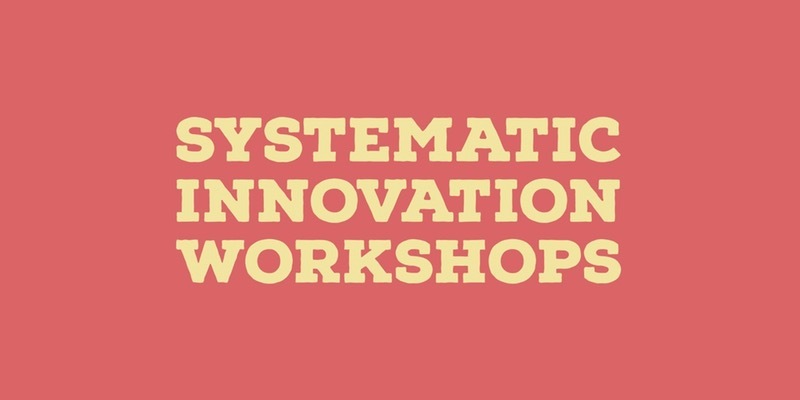 Systematic Innovation – Fintech is a two-day workshop covering techniques to systematically drive innovation in financial organizations. The workshop will focus on specific areas for targeted innovation to drive transformation on two fronts: new products and markets, and evolving current business models. The workshop will be held in English, with translation services available upon request. 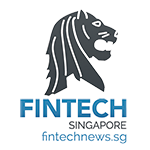 *Fintechnews attended last year @ Banktech in Manila and will be in KL this year.